After so many rumours and official statements about the Xiaomi’s most awaited Flagship device Mi 5, Hugo Barra posted new report. According to the post on Facebook, Hugo barra confirms the Mobile World Congress showcase of the device on 24 February at Barcelona. Till date we know the pricing and the specifications of the Mi 5 from many rumours. According to the recent rumour, Smartphone will comes with the dual-sim and NFS support. 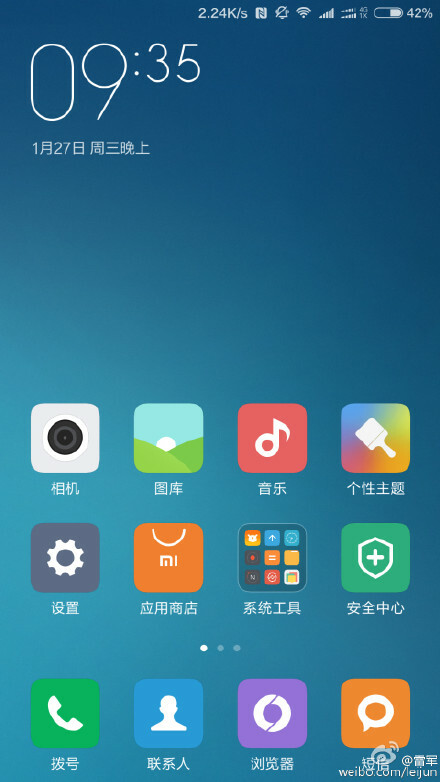 The screenshot shared by chairman Lei Jun, revealed the function of the handset. Read all the reports, rumours, price and specifications of the smartphone HERE.